Why Choose North Carolina for Online Higher Education? According to projections from the North Carolina Department of Commerce, the state will add close to 400,000 new jobs by 2026. The agency projects a significant increase in jobs for healthcare, computer, and technical services professionals and a decline in positions for manufacturing and production workers. As soon as 2020, 67% of jobs in the state will require some postsecondary education. Expanding opportunities for college-educated workers makes now a great time to earn an online degree in North Carolina. This guide ranks the top affordable online colleges in North Carolina and provides important information on financial aid, admissions deadlines, and finding the best online programs. More than 30,000 undergraduate and graduate students study exclusively online in North Carolina, and colleges in the state offer 130 fully online programs. The strong presence of online education in the state provides new occupational and educational opportunities to many people. Single parents, for instance, can complete an online degree while juggling family and career duties. Workers in declining labor industries can study in their free time to transition to a new career. Public universities generally offer more affordable tuition for in-state students than for nonresidents, and out-of-state tuition in North Carolina is more than triple the cost of in-state tuition on average. However, online learners can sometimes pay in-state tuition regardless of where they live. To qualify for resident tuition in North Carolina, students must live in the state for 12 months before the start of classes. Students enrolling in private universities pay the same tuition rate whether they live in-state or out-of-state. In addition, through reciprocity agreements, students in nearby states may qualify for reduced tuition at North Carolina’s public colleges. Both in-state and out-of-state students at North Carolina’s public four-year universities pay slightly less than the national average tuition rates. Private four-year universities charge more than public four-year institutions, and two-year colleges tend to be the most affordable option. However, rates for distance learners vary between schools — some colleges give discounts to online students, some charge them extra fees, and others charge all students the same rate. Attending college in North Carolina as an out-of-state student may be a great choice depending on your specific academic and career interests. Nonresident students should consider a few factors as they weigh their options. Out-of-state learners should look into any interstate reciprocity agreements that reduce tuition costs. They should also research any restrictions in their state and make sure their desired program can operate where they live. Nonresident students can consider the government data below. North Carolina belongs to the Southern Regional Education Board (SREB), which also includes states like Alabama, Arkansas, Delaware, Florida, and Georgia. All 15 member states except North Carolina participate in the Academic Common Market, an SREB program that provides in-state tuition to qualifying students in any member state. However, North Carolina Promise, a program from the University of North Carolina System, offers reduced tuition to out-of-state students studying at three public universities. Nonresidents at Elizabeth City State University, the University of North Carolina at Pembroke, and Western Carolina University pay $2,500 per semester. North Carolina participates in the State Authorization Reciprocity Agreement (SARA), which consists of 49 states, the District of Columbia, Puerto Rico, and the U.S. Virgin Islands. All SARA states agree to evaluate their state’s distance education programs based on shared criteria, simplifying the process for institutions who wish to enroll nonresident students. Prospective out-of-state learners can choose from more than 70 North Carolina colleges and universities approved through SARA. The colleges below represent some of the best and cheapest options for online programs in North Carolina. These schools combine academic excellence and low tuition costs to give students the most value for their dollar. We ranked these schools based on quantitative metrics such as graduation rate and in-state tuition cost, along with qualitative factors like availability of career advising services and academic resources. Review the following list to learn more about the best affordable online universities in North Carolina. North Carolina State University at Raleigh may have its roots in agriculture and engineering, but now, more than 125 years later, it's a distinguished research institution across all major programs. Among its bragging rights is one of the world's best veterinary medicine colleges, and that's not to mention its excellence in STEM fields, agriculture, education and natural resource management. Because the campus is large, students can choose from more than 900 organizations to participate in while also experienicng a student-to-faculty ratio of 13 to 1. Attending one of North Carolina's best colleges along with 34,000 undergrad and grad students would mean possibly being part of NC State's efforts to help farmers confront climate change, develop smart electric grids or help curb nuclear proliferation. Students can also get a great return on their investment. The Princeton Review and USA Today placed the university fourth on their "Top 10 Best Value Colleges in 2014" list. Students can benefit from being within the Research Triangle, a national hotspot for high-tech businesses, as many regional businesses, such as IBM, Cisco Systems, SAS Institute, Biogen Idec and GlaxoSmithKline, often hire NC State graduates. Be part of something big at North Carolina State University at Raleigh. University of North Carolina at Chapel Hill owns the distinction of being the oldest public university in the United States, having opened its doors in 1795. The school's rich history led it to becoming one of the country's best research universities. The diverse fields of study include 77 bachelor's programs, 111 master's, 65 doctoral and seven professional degree programs. Kiplinger's Personal Finance magazine awarded the University of North Carolina at Chapel Hill first place among 100 best U.S. public colleges that offer students high-quality education at an affordable price. In fact, eligible low-income students may receive a debt-free education under the Carolina Covenant, and grants, scholarships, work programs and loans are also up for grabs. Be a part of the online social community, join a student organization or simply enjoy the city of Chapel Hill, rated one of the best college towns, through its music, dining or trails. East Carolina University delivers higher education like no other. The university's College of Education advanced a one-of-a-kind program through which online courses can lead educators to their doctorate in only three years. Among East Carolina's online degree programs, 40 of them are unavailable at any other school. Pick a field of study from 84 bachelor's degrees, 71 master's, two intermediate, 13 research doctoral degrees and 82 certificates and launch into a university of leading research. At one of the best colleges in North Carolina, students have recorded more than 72,000 hours of volunteer work in the past three years. In terms of paying for education, specific resources are available for military, and all prospective students should look into the available financial aid. Students are sure to find extracurricular activities to love on campus and with the city of Greenville's art, music, food and outdoor living. North Carolina Central University (NCCU), historically the first public liberal arts institution for African Americans in the nation, remains a hub for minority higher education with more than 75 percent of students identifying as African American. The university offers bachelor's and master's degrees, a Juris Doctor and PhD in integrated biosciences to a little more diverse student population than at founding. Though many of the 83 degrees are in acclaimed fields, such as business, humanities and education, North Carolina Central University drives research in a number of STEM fields as part of the Research Triangle. The school is located in Durham, the "City of Medicine" and a world center for STEM research. NCCU runs two biotechnology research facilities that work with pharmacy and biotech companies in the Research Triangle, making it one of the best colleges in North Carolina. For individuals who need a more flexible schedule, the online program at North Carolina Central University is one of the top 15 among colleges in North Carolina. St. Andrews University provides students with a unique educational experience. Online, on-campus or hybrid degrees allow flexibility in learning. Prospective students can choose among three pre-professional tracks, one master's degree in business administration or 16 bachelor's degrees, including biology, religious studies and therapeutic horsemanship. The university boasts an active equestrian program, providing students with a rare opportunity in its equine studies. St. Andrews University has also been recognized as one of the best colleges in North Carolina, named by The Princeton Review as a College of Distinction. The university's St. Andrews Press has put the school in the Fourth Tier among the best liberal arts schools, giving student writers the opportunity to have their work published. The private, non-profit college is also rich in its Scottish heritage, housing a collection of rare books on Scottish subjects and preserving the culture on its campus around the lake. Mid-Atlantic Christian University seeks students who will become the next generation of Christian leaders. The School of Undergraduate Studies connects students with an education in arts and sciences, biblical studies, Christian ministry or marketplace ministry. In the School of Professional Studies, students can work toward earning a certificate, associate degree or bachelor's degree in ministry-related or general studies fields through a hybrid of online and on-campus learning. The college offers an adult degree completion program and an online tutoring resource. Mid-Atlantic Christian University is one of the best colleges in North Carolina for its education in a Christ-centered environment. Transfer students find welcome in the university, as they account for about 20 percent of each new class, and military members and their families would be proud to know the school earned the distinction of a Military Friendly School for several consecutive years. Lees-McRae College provides traditional and specialty programs in an untraditional setting: 4,000 feet in elevation. Its motto, "In the mountains, of the mountains, for the mountains," rings true as the college is the highest elevated campus in the Eastern United States and offers an array of outdoor programs. While earning a degree, students have access to rock climbing, hiking and backpacking in Pisgah National Forest and can also participate in service-learning opportunities, such as trail and rock climbing area maintenance. Of the 19 majors offered at Lees-McRae, students can explore courses from Wildlife Rehabilitation and Creative Marketing to Nursing and English. Online programs offer an assortment of learning options, including adult-oriented degree completion and hybrid. Students can earn a BS or BAAS in several online programs, and those on the nursing path can complete an online RN to BSN degree. Lees-McRae College ranks among the best colleges in North Carolina and carries the award of North Carolina College of Distinction. Nationally, it was recognized with the Silver Bicycle Friendly University award, and it was also named one of the best schools in North Carolina for online learning by The Community for Accredited Online Schools. Fayetteville State University touts its small classes and family atmosphere as two of its best features. The university, which recently celebrated 150 years, originally began in 1867 as a school for black children. Today, the diverse student body chooses from 33 bachelor's, eight master's and one doctoral degree and 11 certificates in fields such as nursing, accounting and criminal justice. Ten online programs cater to junior and senior students as degree completion options. Fayetteville State University is one of the best colleges in North Carolina with its national award-winning online programs, and individuals who want to get more involved can look into a long list of student organizations. About 95 percent of Fayetteville students receive some form of financial aid, so prospective students can check out the cost calculator to get started and search through a variety of options, from federal and state aid to scholarships and grants. Located near the Great Smoky and Blue Ridge mountains, the regional public Western Carolina University offers more than 115 undergraduate majors and concentrations and 60 graduate programs. Fields of study include popular degrees like engineering, science, health care and education. Online study options are for degree completion for students who already have some higher education schooling under their belt, making Western Carolina either an on-campus or hybrid learning environment. Military and veterans are likely to find the school fitting for their needs; the Military Student Services staff provides assistance, community and balance between school and military schedules. The Student Veteran Association contributes resources for counseling and maintains the Veteran Resource Center. All students have access to the wellness programs and facilities, including the gym, pool, rock wall and outdoor recreation areas. Western Carolina University, one of the best colleges in North Carolina, remains in the top five nationally for undergrad research. The university, located about 50 miles west of Asheville, prides itself on offering an education at value. More than 80 percent of students earn some form of financial aid. University of Mount Olive teaches students to grow in their faith while receiving a quality higher education. The university offers associate, bachelor's and master's degree programs in arts, sciences and professional studies on campus or fully online. The needs of adult learners are accommodated in several ways: through online degrees, a night school for those who can't attend daytime classes and six other locations throughout North Carolina that specifically offer accelerated degree programs for adults. As one of the best religious colleges in North Carolina, one way Mount Olive balances faith and learning is through its campus ministry, which encourages students to participate not only in its worship services but also in campus events, community service, and Bible studies. Financial aid comes in a variety of options, such as scholarships, tax credits and federal aid. In recent years, more than 95 percent of full-time freshmen received some form of financial assistance. University of North Carolina at Greensboro (UNCG) earns distinction with its numerous awards as one of the best colleges in North Carolina and one of the best online colleges in the nation. The original school was established in 1892 for women, but in the 1960s, it began admitting its first male students. Now, 20,000 students, of which 48 percent are ethnic minorities, call UNCG their school. Thirty residence halls and 30 academic buildings dot the 210-acre property. Online undergraduate degrees offer flexibility in scheduling, as the degrees are able to be completed 100 percent online. Even more online master's degrees are offered, along with one doctoral and one specialist degree and a host of graduate certificates. The online degrees are more cost-effective than on-campus courses, but the university offers more than 85 undergraduate degrees, 74 master's and 32 doctoral programs on campus. The culture at UNCG is also notable. Teeming with the arts, the school hosts concerts, plays, exhibitions and publications that show the visual, literary or performing arts skills of students and faculty. North Carolina A&T State University produces the nation's largest number of African-American engineers at all degree levels, the most African-American psychology undergraduates, the biggest group of African-American certified public accountants and the second largest amount of minority agricultural graduates. African-American students make up the largest ethnic group of the school, which spread its roots in 1891 as a college for African Americans. Now, with a more diverse campus and curriculum, North Carolina A&T focuses on research programs, community and problem-solving through areas like technology and business. Located in the state's third largest city, the university, one of the best in North Carolina, provides its education in Greensboro, a city that attracts major sports, arts and cultural events. In addition to its on-campus degree options, the university offers more than 20 degree programs and certificates in its online programs. Explore the costs for attending the university, costs for online learning and available financial aid options. The University of North Carolina at Charlotte is one of the best-ranking colleges in North Carolina for its research efforts. More than 90 undergraduate degrees and certificate programs, from accounting to biology to electrical engineering, are offered on campus as well as 64 master's and 23 doctoral degrees. The university offers online, on-campus or hybrid learning for bachelor's degrees, master's degrees, certificates or teacher licensure for more scheduling options and flexibility in learning style. With more than 23,000 undergrads, students can apply to be part of Learning Communities, a campus program that connects students based on interests, classes and housing for the purpose of creating small communities and strong friendships on a populus campus. More than 400 student organizations also unite students of similar interests. On campus, students can enjoy 10 acres of outdoor gardens and trails, and as of March 2018, the LYNX Blue Line light rail connects the university directly to the city of Charlotte, where outdoor recreation, nightlife, restaurants and cultural arts can be experienced. Prospective students can discover student financial aid advice and opportunities online. Piedmont International University stresses the importance of religion in every aspect of its higher education system, starting with prayer at the beginning of classes. Church attendance is required at an approved local church, and residents must join the weekly dorm devotions. The university also hosts a Spiritual Week full of meetings that intend to strengthen students' spiritual lives. 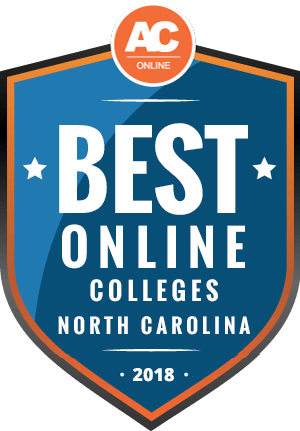 Piedmont is one of the best colleges in North Carolina for its online programs and small campus. Online studies benefit a wide range of students, including high schoolers eligible for dual enrollment and all others seeking associate, undergraduate and graduate degrees. More than 50 fields of study are offered by the university in a traditional on-campus method, online method or a hybrid of the two. All graduate work, with two exceptions, is available 100 percent online. On-campus classes are held only Tuesday through Friday for the purpose of enriching students' family time, ministry and studies. Piedmont International University is located three blocks from Winston-Salem's downtown, an hour from the mountains and four hours from the Carolina beaches. Montreat College emphasizes Christian-based learning in a higher education setting. Undergraduates can earn a bachelor's or associate degree from among 22 majors, and a handful of these can be taken online. Three master's degrees are offered on-campus, one being available online, and for adult students, Montreat College's four adult undergrad locations make it easier to earn a degree. The private, Christian liberal arts college, one of the best of its kind in North Carolina, is situated in the Blue Ridge foothills just 20 minutes from downtown Asheville. Montreat cove harbors 30 miles of trails, and travels to Great Smoky Mountains National Park takes only an hour. Students can keep themselves involved and engaged with student life by choosing from 17 varsity athletic teams or a variety of activities and organizations, such as concerts, dances, student government, publications and clubs. Convocation and chapel services, dorm Bible studies, vespers, prayer groups and community services help students stay active in their faith as well. Tuition is about 25 percent lower than average for private colleges in the U.S., and 99 percent of attendees earn scholarship or grant aid. Appalachian State University maintains its status as one of the best North Carolina colleges through a number of awards and rankings. The university was recognized as one of the best online programs in U.S. News & World Report, as one of the best-value colleges according to Kiplinger and was declared a Military Friendly School among other honors. Positioned in the state's Blue Ridge Mountains, the public college is one of 17 locations for the University of North Carolina system. About 19,000 students call Appalachian State their school while choosing from more than 150 undergraduate and graduate majors. Diverse learning programs, including traditional on-campus learning, study abroad courses, Scholars with Diverse Abilities, student research and online programs, cater to all types of learners. All of the university's undergrad distance learning options are transfer programs solely offered to juniors and seniors for degree completion. However, many of the master's and doctorate degrees can be taken 100 percent online or as a hybrid. University of North Carolina Wilmington (UNCW) maintains a solid relationship with military personnel and their families. At its inception in 1947, three-quarters of the students were veterans. The university is one of the best in North Carolina and the Southeast for educating and serving active duty military and veterans. Traditional undergraduate and graduate students can pick from 55 majors, 34 master's and four doctoral degrees. Seventeen of the bachelor's and master's degrees are offered totally online and more are being added in the near future. U.S. News & World Report ranked UNCW seventh nationally for its online bachelor's programs. Study abroad courses abound with more than 500 among 50 countries, and athletics, arts, student media, organizations and the recreation center keep students active outside the classroom. The Office of Scholarships and Financial Aid has all the information prospective students need to calculate their tuition and expenses and offset them with numerous financial aid options. John Wesley University earns its place as one of the best colleges in North Carolina for its in-depth religious teachings and community. The private, non-profit university identifies as interdenominational Christian and teaches "fundamental doctrines of evangelical Christianity." Proud of its 10:1 student-to-faculty ratio, the university strives to provide a personalized education to each scholar. The majority of the school's degrees are in ministry, but students can also choose from two in business and one in nursing. Almost all of these degrees can be earned either on campus or online. Campus life includes spiritual growth, events, athletics, student leadership, student work opportunities and campus housing. Spiritual life is developed at John Wesley through chapel services, fellowship, Bible studies, mission trips and community service. Of the private, liberal arts colleges in North Carolina, John Wesley touts the lowest tuition rates, and the financial aid office provides information on methods to pay for its Christ-centered education. Winston-Salem State University (WSSU) earns bragging rights as the top Historically Black College or University, awarded by The Wall Street Journal in 2016, and for its number one status within the University of North Carolina system for graduate job placement and average salary for triad-area grads. The university rests its success on its student-focused programming. WSSU's University College and Lifelong Learning offers academic advisement to keep students on the right track to graduation; Writer's Block, a group of writing assistants and professional clerks who assist with course materials and projects as needed; and Team B.O.S.S., a program funded by the Department of Education to help low-income, first-generation college students achieve in academics. Five thousand students attend Winston-Salem State University each year, accounting for a 16:1 student-to-teacher ratio. Through The College of Arts, Sciences, Business and Education and the WSSU School of Health Sciences, the school offers 40 bachelor's, nine master's and two professional doctoral degrees and two certificate programs. The distance learning program provides a variety of undergrad and graduate degrees and licensure online. Students can also partake in the university's award-winning student activities center, over 100 student organizations and top 25 division II football, basketball and baseball programs. University of North Carolina at Pembroke extends its higher education programs to a diversified group of students. The original school, established in 1887, is the nation's only four-year public institution founded by American Indians. Currently, the student body averages 15 percent Native American, 34 percent African American and 38 percent Caucasian, making it a unique learning community of about 6,200. The university offers 41 undergraduate and 18 graduate programs and averages class sizes of 20 students. Degree completion is available as an online option for both bachelor's and master's degrees. Four accelerated master's degrees are also available online within the Master of Business Administration programs. Students wanting to transfer to the university can check to see which of their credits will transfer before enrolling. Staying active on campus is no hardship with more than 90 clubs and organizations to choose from and an updated calendar of campus events to check regularly. UNC Pembroke is also recognized by several sources as a military-friendly university. A Military and Veterans Service Office, VA Certifying Official and other available support help with the transition to college life. Southeastern Baptist Theological Seminary guides men and women through 40 programs, leading them toward degrees in a plethora of religious- or biblically-based subjects, including its flagship Master of Divinity. Several more secular subjects like philosophy, global studies and social studies can be studied as an undergrad, and master's students can receive degrees in biblical counseling or church planting. The seminary is a Cooperative Program ministry of the Southern Baptist Convention (SBC) and one of the best seminaries in North Carolina. The school offers on-campus, distance learning, hybrid classes and the Equip Network, which allows partnership with local churches to afford students real-life ministry opportunities while earning their degree. Four master's degrees may be earned entirely online, and 11 individual free courses are also available online. Students can stay involved with the seminary community by participating in intramural sports, community events and student activity groups like Southeastern Outdoor Club, Performing Arts Club, and Faith and Film. Financial aid is available in the form of an SBC Scholarship for student-members of SBC churches, covering about half of the average tuition and fee total. The seminary also provides military rates for active-duty members and veterans. Apex School of Theology ranks among the best online schools in North Carolina based on its freshman retention rate and 95 percent graduation rate, according to OnlineCollegePlan.com. The school, founded by the Reverend Dr. Joseph E. Perkins, was originally located within Perkins's church, but is now located within Research Triangle Park inside Durham. The Transnational Association of Christian Colleges and Schools, accredited by the U.S. Department of Education, allows Apex to offer its degree programs on campus and online and qualify its students for federal aid. The school's mission is two-fold: to serve area clergy by offering formal theological training and to keep tuition costs low by paying faculty a small stipend. Seven associate, bachelor's and master's degrees are available both on-campus and 100 percent online. Apex School of Theology was founded on the African-American religious experience, but the school accepts students of all ethnic backgrounds. Charlotte Christian College and Theological Seminary, one of the best seminaries in North Carolina, trains Christians to serve in churches as well as secular fields. The seminary founder believes the world's cities can be saved by inserting the biblically educated into non-religious fields of work. The seminary offers associate or bachelor's degrees from four divisions: biblical studies, general studies, pastoral studies and urban studies, with several concentration options. Several Master of Arts and Master of Divinity degrees and one Doctor of Ministry are also available through the school. Degrees may be earned by attending online classes. Though the online school is accredited, it is not yet available to residents of all states. Financial aid is available to students, and the Net Price Calculator can help prospective students determine how much financial assistance they would need to attend Charlotte Christian College and Theological Seminary. Connect with the school on Facebook to get a feel for its community and mission. Below, you will find answers to some of the most common questions about online degrees in North Carolina. Read on to discover some helpful resources for prospective online students. Do online credits cost more or less in North Carolina? In general, earning a degree online can be a great way to save on a college education. Online learners do not need to pay for print textbooks, transportation, housing, or meal plans. However, actual tuition costs for online students vary between colleges in North Carolina. Some schools set different tuition structures for distance learners, while others require all students to pay the same rate regardless of how they learn. Additionally, online tuition rates depend on the major you choose and whether you study part time or full time or pursue undergraduate or graduate study. You should conduct your own research to find the programs that best fit your budget. The FAQ page from the University of North Carolina System can help you better understand tuition rates for online programs at North Carolina’s public universities. Which North Carolina schools accept the most transfer credits? Each North Carolina school determines its own admissions requirements and transfer policies. Some colleges boast generous transfer policies, while others restrict the amount of credits one can transfer in. Catawba College, for instance, allows students from accredited four-year universities to transfer up to 90 credits, while students attending community colleges can transfer up to 60 credits. Community college students transferring to Wake Forest University must complete at least their last 60 credits through the university and cannot apply credits toward 12 departments, including economics, English, and chemistry. Articulation agreements in North Carolina make it easier to transfer to certain schools. The Comprehensive Articulation Agreement allows students from all 58 North Carolina community colleges to transfer to all 16 public universities in the state. To qualify, students must graduate from an associate of arts or associate of science program with at least a 2.0 GPA, and they must earn at least a “C” in certain classes. The Independent Comprehensive Articulation Agreement enables North Carolina community college graduates to simply transfer to participating private institutions in the state. Students can learn more about transfer policies in North Carolina through their online resource. Will any online colleges in North Carolina accept a GED? A majority of higher learning institutions in the U.S. accept a GED in lieu of a high school diploma. GED holders should keep in mind that colleges often look at GED exam scores, and a high score on the exam can increase your chances of getting into a top school. Online colleges also take into account several other factors when evaluating applicants. Schools may require transcripts, SAT or ACT scores, personal essays, or recommendation letters. Prospective students may become familiar with North Carolina’s High School Equivalency Diploma program, which readies students to pass exams such as the GED. Through the GED Online program, students can learn more about earning a GED online in North Carolina. The University of North Carolina System’s website features information about minimum admissions requirements for public universities. How many academic terms per year do online colleges in North Carolina offer? Online programs often appeal to students looking for a flexible learning experience. Distance learners can attend class from nearly anywhere and complete assignments at their own convenience. Many online programs also feature several start times each year to accommodate as many students as possible. Programs commonly start 3-6 times each year. Some online programs at the University of North Carolina Wilmington, including the BS in exercise science and the RN-to-BSN program, boast six start dates each year in the fall, spring, and summer semesters. The University of Mount Olive offers six start times per year for its online associate of science in general studies program. The number of start dates a program offers depends largely on its delivery format. Asynchronous and self-paced programs, which allow students to work through courses independently whenever is convenient, offer more flexible start dates. Cohort programs, in which students progress through the curriculum as a group, may offer fewer start dates. Through the UNC Online resource, prospective students can search through courses at North Carolina’s public universities to get a feel for the academic calendars at various schools. Which online colleges in North Carolina will accept the FAFSA? Prospective students should fill out the Free Application for Federal Student Aid (FAFSA) to find out if they qualify for any government-sponsored grants, scholarships, loans, or work-study opportunities. Students should take advantage of any federal aid programs before searching for private loans. However, only accredited online schools in North Carolina accept the FAFSA, so be sure to apply to properly accredited schools. Moreover, the school’s accrediting agency must be recognized by the U.S. Department of Education. Students can learn more about the FAFSA and financial aid in general through many resources. The University of North Carolina System’s website outlines scholarship opportunities at public universities in the state. Through the North Carolina Independent Colleges and Universities’ website, prospective students can learn about financial aid options and get tips on affording a private school degree. The College Foundation of North Carolina, a state organization, also provides numerous resources on paying for college. Are there any free online classes I can take from North Carolina colleges? Many U.S. colleges, including some in North Carolina, make free online courses available to the public. These courses, sometimes called massive open online courses (MOOCs), can help students considering an online degree. Though they do not provide any college credit, MOOCs resemble paid courses and typically involve lecture videos. By completing a free online course, students familiarize themselves with online learning platforms while expanding their knowledge. Prospective students can also gain basic knowledge in core subject areas through free online classes. The University of North Carolina at Chapel Hill offers several MOOCs through its center for continuing education. UNC Chapel Hill faculty members developed the courses, which cover topics including the American South, epidemiology, psychology, and environmental law. Wake Technical Community College offers six MOOCs designed to prepare students for postsecondary education. Topics include computer basics, introductory algebra, reading and writing fundamentals, and chemistry concepts. In addition, the Open Education North Carolina initiative provides free textbooks for popular courses across two-year and four-year schools in the state. The initiative also offers free articles, books, videos, and other useful materials. How can I find the online program options at North Carolina colleges? With so many schools and programs to choose from, students often struggle to find the ideal online program. Navigating through every North Carolina school’s website to find online offerings can prove tedious, and you might overlook a great program. Fortunately, prospective students can use online tools to streamline their search for an online program. Students considering public four-year institutions in the state can use the UNC Online program search tool to compare close to 400 online degrees and certificate programs. Students can filter results by keyword, degree level, and discipline. Likewise, those looking to study at a two-year community college can explore online programs through the Virtual Learning Community website. Students interested in private institutions should consult the North Carolina Independent Colleges and Universities page, which summarizes online degree options at 15 universities. One of the most desirable options for funding, Pell Grants help students looking to reduce the cost of college tuition. However, these grants only apply to first-time degree seekers who demonstrate adequate financial need. Those who do not qualify can take advantage of many scholarships specifically for North Carolina students. North Carolina high school seniors may apply for this scholarship. Applicants must hold a 2.5-3.5 GPA and demonstrate community service and leadership qualities. Applicants must also show SAT scores between 990 and 1130 or ACT scores between 20 and 24. The North Carolina Technology Association offers this scholarship in honor of its founding CEO. The scholarship supports young women interested in a career in technology or engineering. Applicants must be North Carolina residents studying at an accredited institution in the state. The scholarship requires at least a 3.0 GPA. Crumley Roberts, a law firm in Greensboro, awards the Next Step Scholarship to North Carolina community college students transferring to a four-year institution. Applicants must submit college transcripts, recommendation letters, and a 500-word essay. Students should also provide information about extracurricular activities and leadership experience. The North Carolina Association of Educators established this award in 1992 for students at public high schools in the state. Applicants must submit a resume, two letters of recommendation, and a transcript showing a GPA of at least 2.5. Students must also submit an essay explaining how Dr. King’s philosophies influence their lives. The North Carolina Society of Engineers assists undergraduate engineering and technology students through this scholarship. North Carolina residents enrolled at one of nine approved universities may apply. Applicants must submit college transcripts and two letters of recommendation. The committee awards scholarships based on academic merit and financial need.